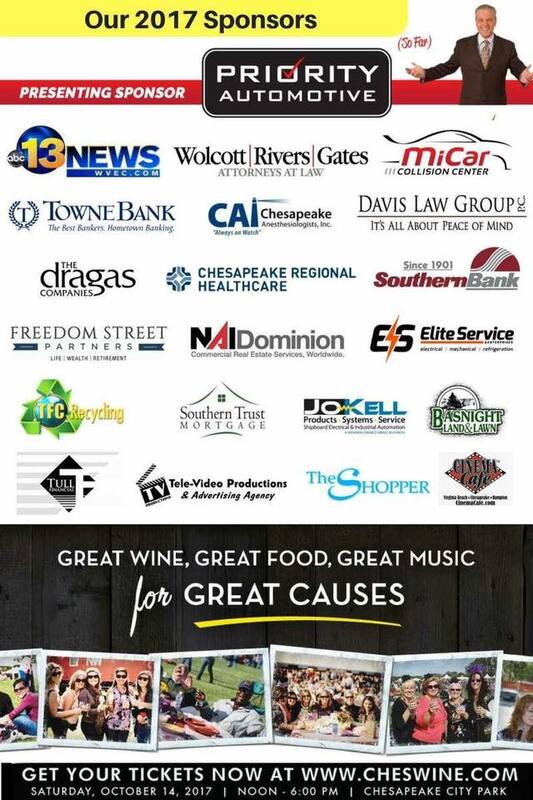 NAI Dominion is joining other great sponsors at the Chesapeake Wine Festival. 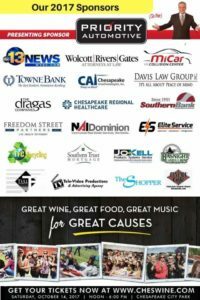 Looking forward to joining other great sponsors for the 2017 Chesapeake Wine Festival. Organized by the Chesapeake Rotary Club for local charities, giving back over $1.2 Million in 6 years. Come out and join us on October 14, 2017 – Chesapeake City Park. This entry was posted in NAI Dominion News and tagged Chesapeake Wine Festival, NAI Dominion, Patrick L Reynolds on October 2, 2017 by NAI Dominion.